Greenbelt took over ownership of the 155-acre Kingston Prairie Preserve from The Nature Conservancy in 2018. Kingston Prairie was transferred from The Nature Conservancy as part of a collaborative partnership designed to align conservation partners and priorities across Oregon. 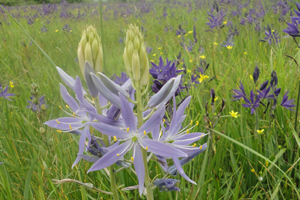 The Kingston Prairie Preserve protects some of the best remaining native prairie in the Willamette Valley. Kingston Prairie provides an excellent example of native plant diversity and grassland bird habitat. 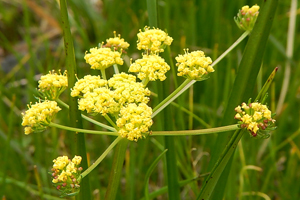 Rare plants such as the federally endangered Bradshaw’s lomatium and Willamette daisy are found on the property. Western meadowlarks, while rare in the Willamette Valley, are common residents of the Kingston Prairie area and at least three pairs of western meadowlarks have been documented to breed every year on the site. The high level of plant diversity on site contributes to the rich composition of native animal and bird species that also use the habitat on Kingston Prairie. 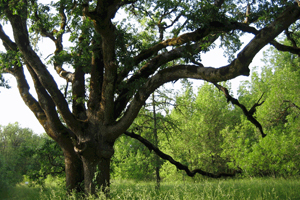 The combination of diverse prairie habitat along with a mature grove of Oregon white oak contribute to the complexity and supports a broad range of bird species including western kingbirds, northern harrier, savannah sparrow, horned lark, acorn woodpeckers and slender-billed white-breasted nuthatch. The conservation context of this property is one of its most important features. The property is within Greenbelt’s Conservation Area of Interest and the region is highlighted in many regional planning and assessment efforts. Kingston Prairie is adjacent to the 406-acre Santiam Kingston Hills property that Greenbelt acquired in 2018. The Confederated Tribes of the Grand Ronde owns a 400-acre conservation property adjacent and just upriver and a 430-acre conservation property down river from Stayton. 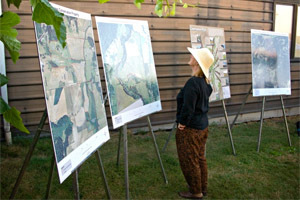 A strong partnership between Greenbelt Land Trust and The Nature Conservancy’s Oregon Chapter made this project possible. 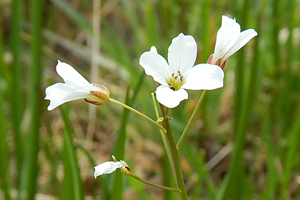 Greenbelt will manage the property to advance the protection and enhancement of populations of key focal prairie species and overall habitat connectivity. Management priorities for the prairie habitat on the property will focus on controlling invasive non-native plant and animal species and restoring degraded habitat areas. Kingston Prairie Preserve is open to the public, though there is no trail system on the property.